BOOM! 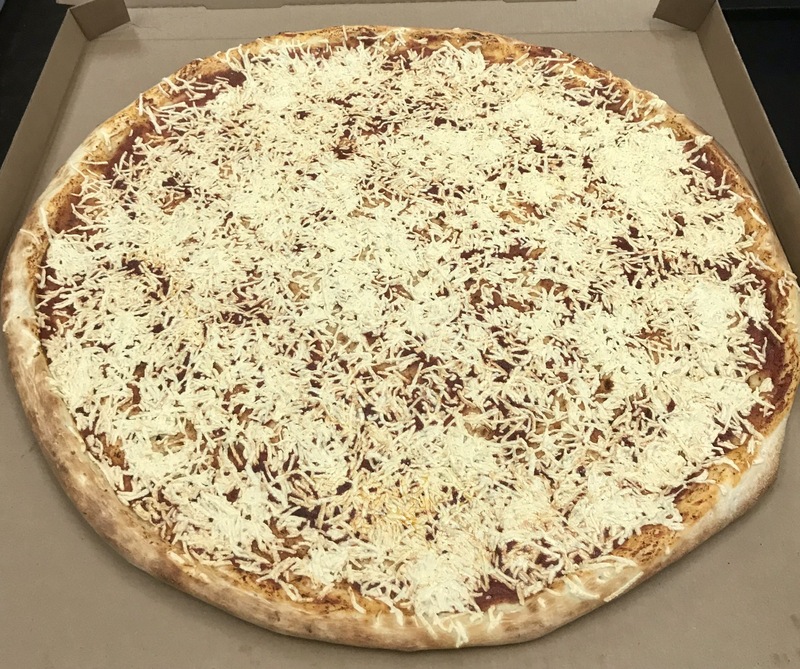 Not too much room for anything else on this Award-Winning Pizza! 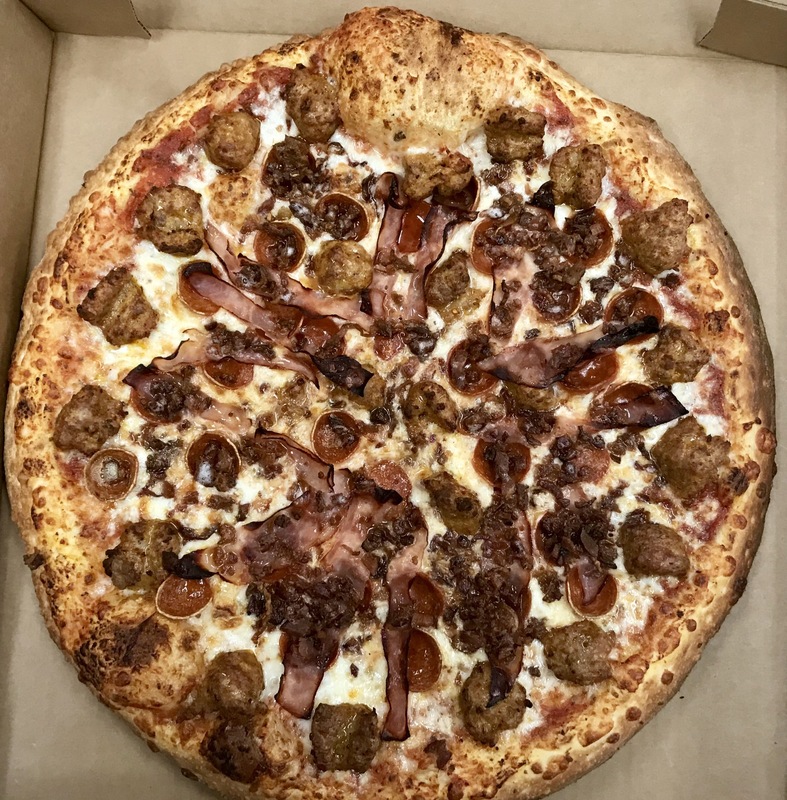 REAL CHUNKS of Pinched Italian Sausage PREMIUM Cup n Crisp Pepperoni FLAVORFUL Honey Ham SMOKEY Maple Shredded Bacon BEST Cheese Available to Our Industry HOMEMADE Dough and Sauce Yum!!! Warm Cookies + Pizza = YUM! We just baked up some NottaNuttaButta Cookies, and ever popular ChocoChipALicious Cookies. Huge! Tasty! Satisfying! Make sure to add this truly homemade dessert to your order this Friday Night. 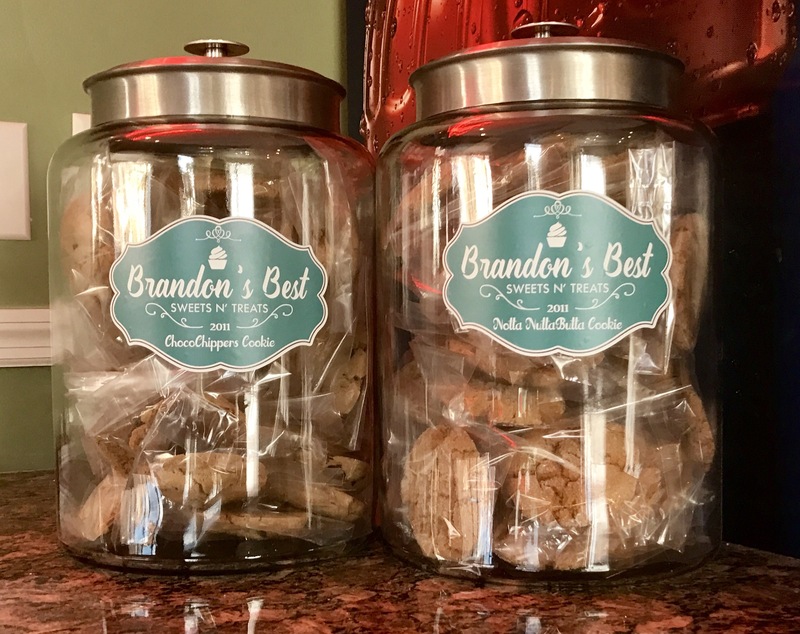 These aren’t made by some factory, their part of our Brandon’s Best product line. Get them while they’re hot…we mean warm. RUN FOR YOUR LIVES!!!!! The 30” Vegan Monster is on it’s way to VegFest! Make sure to stop by the VegFest booth to get your teeth into a sample of the Best Vegan Pizza in Town. It's Thursday 3:49 AM — Sorry...raid the fridge cause we're closed!